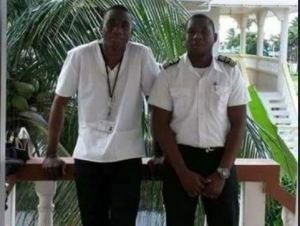 Just over one year after two brothers were killed in an East Bank Demerara road accident, a truck driver was Tuesday charged with causing death by dangerous driving. 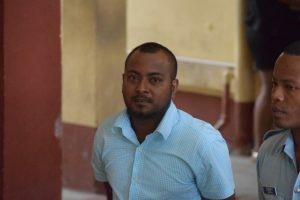 Twenty-seven year old Gansham Das of 2233 Tuschen Housing Scheme appeared in the Georgetown Magistrates’ court before Chief Magistrate Ann Mclennan for causing the death of 23 year old Jonnel Armstrong, and 21-year old Phillip Armstrong, of Watooka, Mackenzie, Linden. They were the sons of Region 10 Regional Health Officer, Pansy Armstrong. The prosecution had not objections to bail but asked that it be in a substantial sum. As such, Chief Magistrate Ann Mc Lennan granted bail in the sum of GYD $400,000 and ordered that Das returns to court on November 16. Police accused Das of driving motor lorry GNN 5355 in a dangerous manner on the Friendship Public Road, East Bank Demerara on October 1, 2016., causing the death of the young men. When this charge was read, Das pleaded not guilty and his attorney Paul Fung-a-Fat, in a bail application, told the court that his client has been charged one year after the offense was committed. At the time of the accident, one of the Armstrongs was driving a Rav4 in southern direction when the two vehicles collided. Any eyewitness then had said that during the mishap, there was heavy rainfall. He had said the drivers were not speeding but the Rav4 bumped in and out of a ‘drop’ by the big Friendship bridge. The Rav4, he said, began wobbling and the driver lost control before crashing into the truck. The eyewitness had also said the truck slowed down even further but, perhaps could have stopped or driven further left into the parapet to avoid the collision.